Thanks for the great peace of mind when I bring Hershey in . . . I know he is always getting the most technically advanced treatment that veterinary medicine has to offer! Thanks so much . . . I trust my best friend in your hands! Thanks so much for all that you have done for us! You guys are the best pet clinic in the area--really! Dr. Ratnoff, thanks for making my life easy when it comes to bringing Luke in to the see you! Although, I think he may have a crush! I am convinced it's a crush . . . or those treats are doggone divine! But how could any four-legged creature resist? In all seriousness, thanks for providing Luke and me the finest. most complete pet care available . . . with a lot of love. I have seen a lot of vets in the past and your genuine love and care is truly rare. Thanks to the Drs and professional staff at Oakland Park Animal Hospital. I feel like you all truly love what you do! Every time I come in to see you, both me and my kitten have had such a pleasant experience. Everyone is so friendly and knowledgeable--I'm really impressed! Ever since I moved to Oakland Park you have made me feel so welcome to the area and to your family. Thanks Dr. Ratnoff for your loving and professional care for our newest family member! We appreciate you and your staffs' genuine concern for all our pets for the past 10 years. We have always felt like we have been treated as part of the Oakland Park Animal Hospital family. Its so reassuring to know that we don't have to worry when we leave our dog for medical treatment or a boarding stay. Thank you so much! I think the world of Dr. Ratnoff . 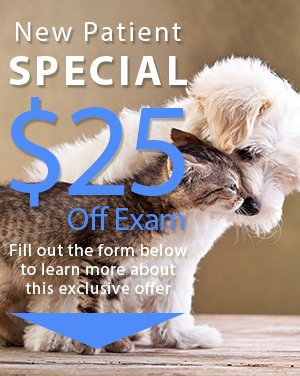 Not only does the dr and team at Oakland Park Animal Hospital provide the best veterinary care possible, but also unmatched personal service and of course lots of love! 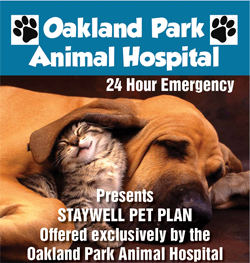 I trust you with my most precious posessions...and refer all my friends and family to Oakland Park Animal Hospital. Dr. Ratnoff has taken exemplary care of our family's pets for several years, and we have been extremely pleased with the caliber of care we have been provided. We always feel questions are welcome, and Dr. Ratnoff spends whatever time is required to provide answers, whether we are in the office or just speaking on the telephone. Somehow Dr. Ratnoff manages to remember our pets' strengths and weaknesses among all of her other patients. When one of our pets is ill, Dr. Ratnoff makes every effort to calm our fears while treating our pet in a gentle loving manner. Dr. Ratnoff phoned our home on more than one occasion inquiring as to the condition of an ailing pet, indicating genuine caring and concern, as well as willingness to go above and beyond the call of duty. We are extremely grateful to Dr. Ratnoff for providing years of quality care to our beloved babies. Dr. Ratnoff's loving and understanding way makes us feel we have found the best veterinarian and new friend. Thanks Dr. Ratnoff for your recommendations on Fabio's new diet. Now, thanks to you, Fanio is getting all the vitamins and nutrients he needs. Fabio went from a picky eater to a happy go lucky bird. Not only is he happy and healthy, but his colors and feathers are more beautiful than others. I will refer you to anyone I know, your recommendations were right on! You clearly are an expert in your field...thanks so much! Click Here to Read Janine's Petsimonial!